BRYAN EATON/Staff Photo. 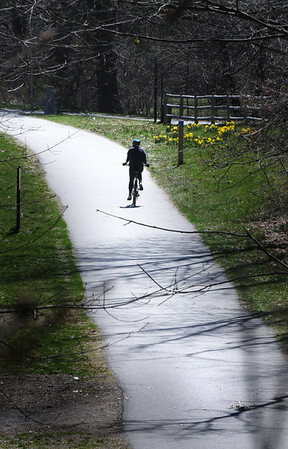 A bicyclist heads south along the Clipper City Rail Trail past some daffodils in a view from the High Street Bridge. The trail should be a busy spot this weekend as temperatures get into the 60's and 70's.